Your garage door is likely a major entrance to your home and will be used regularly. This is especially true if you choose to park your car inside your garage, meaning its door will receive near-daily use. Your garage door is likely to be located at the front of your home too, also meaning it will be a major factor in the way your home looks from the outside. If your garage door fails to open or close properly, or worse, falls down, this presents some real dangers to you and your family. Falling on top of people creates an obvious risk, but is one that can be avoided by ensuring that all working parts are maintained and the door is kept safe. If the door fails to open properly it could mean trapping someone inside the garage unnecessarily. If the door cannot open properly it may also expose your home to possible break-ins, if the garage has a door leading to inside your home. 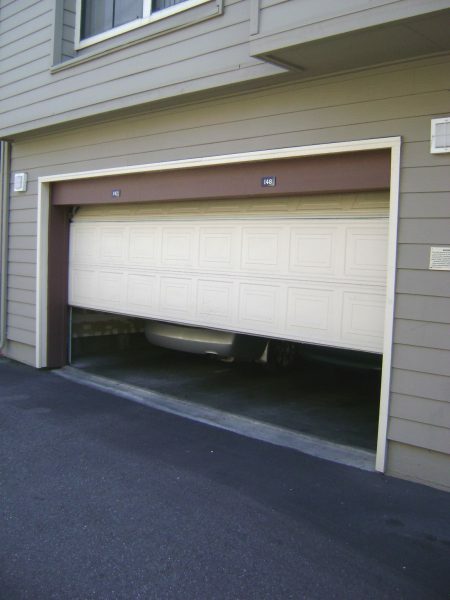 Keeping yourself and family safe is one of the main reasons to have your garage roller doors maintained. You can make sure that your door is fully operational by having a professional from a company specializing from garage door repairs in Perth regularly visit your home in order to maintain it. You may rely on your door to open and close easily, at least twice per day on most days. This would be the case if you’re someone who drives to work and likes to park their car in the garage. It will cause a real hassle to you, and waste time, if your garage doors don’t open and close properly. To make sure your garage doors operate effectively, and won’t fail, it is a really good idea to have them regularly serviced by a professional service. You can set up a convenient service plan to ensure that your garage doors are kept operational before any mechanism breaks down by arranging this with a company offering roller door repairs in Perth. Prevention is always better than cure, as they say. It’s also cheaper, in the long run. By keeping your garage door well-maintained, and operating smoothly, you will do well to prevent unexpected problems that may lead to a total breakdown. In this case, it is likely to cost more to have your door fixed when it is broken, rather than keeping it operational with regular maintenance. Garage doors are sturdy pieces of equipment and should keep going for years after being installed, but as with any heavily-used door, they do need regular maintenance. It’s a really good idea to regularly service your garage door, and keep it fully functional, rather than waiting for something to go wrong. At Fix-a-Door we offer professional repairs to all garage doors, and also provide regular maintenance. Please contact us now on 04 3800 2603 to have a chat with us about servicing options. This entry was posted on Monday, October 23rd, 2017 at 6:08 am and is filed under blog. Both comments and pings are currently closed.